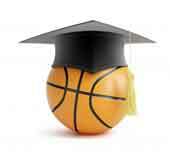 Can College Athletes Receive both Athletic and Academic Scholarships? You would think this would be an easy question to answer. And it is for NCAA D3 schools since they aren’t allowed to offer any athletic scholarships so the answer is no. As for D1 or D2 schools, if you just stop and think about it a little, you would begin to realize that there’s no way it could possibly have a simple answer. Why is that? Just imagine if schools could freely give athletes scholarships for academic qualifications instead of athletic abilities. There’s no limit on the number of academic (or merit) scholarships that colleges and universities can award. And there are no minimum qualifications. Schools give out scholarships for music, art, drama, leadership, and community service without demanding excessive academic qualifications. Surely you can see the issue here. What’s to stop schools from providing all of their athletes with merit scholarships and just skip the limitations of athletic scholarships? There is something in the NCAA, it’s called Bylaw 15.02.4.3. This rule states that any financial aid except that which is specifically exempted is going to count as athletic aid and make the student a “counter” in terms of scholarships. The schools also have to certify that athletic information was not required as part the application process although students may voluntarily list athletic achievements. What are NCAA Counters in Scholarships? Then there is the counter and fully funded issue. This isn’t an easily explained subject. It has to do with athletes receiving non-athletic aid but having it count as athletic aid for purposes of limiting the number of athletes receiving athletic scholarships. The best explanations I’ve found so far are at Daily Compliance Item Institutional Aid (which is straight forward and I understood) and Fixing the NCAA’s Approach to Non-Athletics Aid which suggests that the entire process works against the benefits of the athletes. I’ve also found two forum discussions that appear to have explanations by people who seem to understand the process. One is lacrosse specific while the other is a general discussion on College Confidential. And Rick Allen at Informed Athlete has an explanation and offers to answer any questions as well. There is a potentially useful table and diagram to determine scholarship counters that you can download in PDF format. Shouldn’t You Just Ask the NCAA?